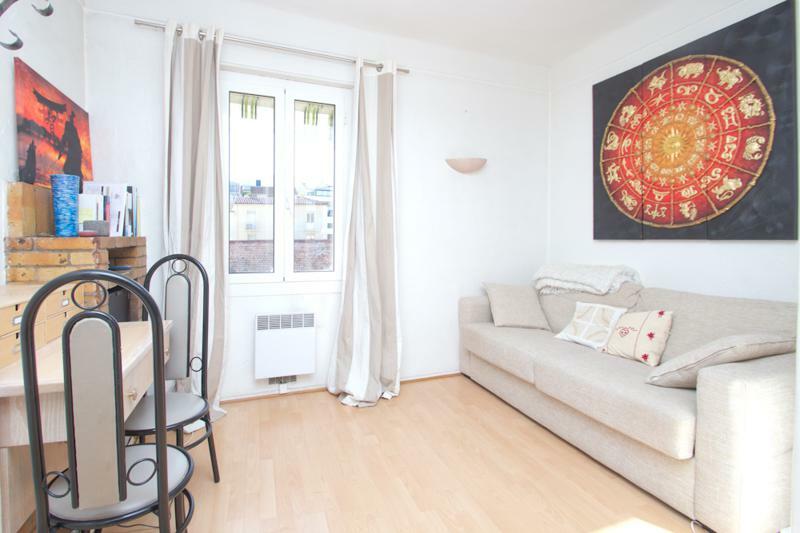 This simply-furnished 1-bedroom Cannes apartment is located on Rue Commandant André and is at only a 5-minute walking distance from the Palais des Festivals. The beach is less than 200 metres away or just a 2-minute walk from the apartment, making for a lovely walk along the Croisette towards the Cannes convention centre. Interesting fact - this side street connects the 2 most popular Cannes streets - Boulevard de Croisette and Rue de Antibes, meaning you’ll be staying in the heart of all of the action in Cannes. It is located on the 3rd floor of an apartment building with an elevator and is perfect for a small group attending a conference at the Palais. The apartment includes a wooden-floored living room, furnished with a sofa bed in case you need to accommodate an additional guest. You’ll find a laptop desk and 2 chairs where you can comfortably sit and work while enjoying the view of Cannes city from the window. 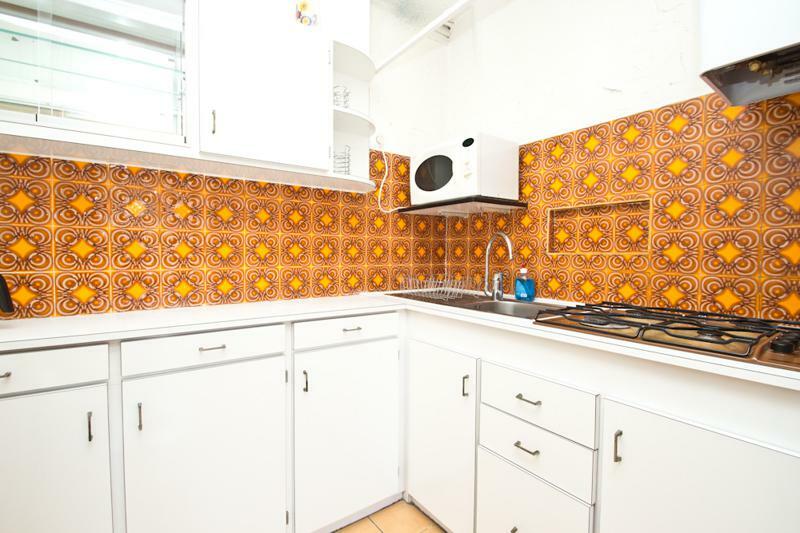 The separate kitchen is simply-equipped with essentials such as a microwave and gas stove. 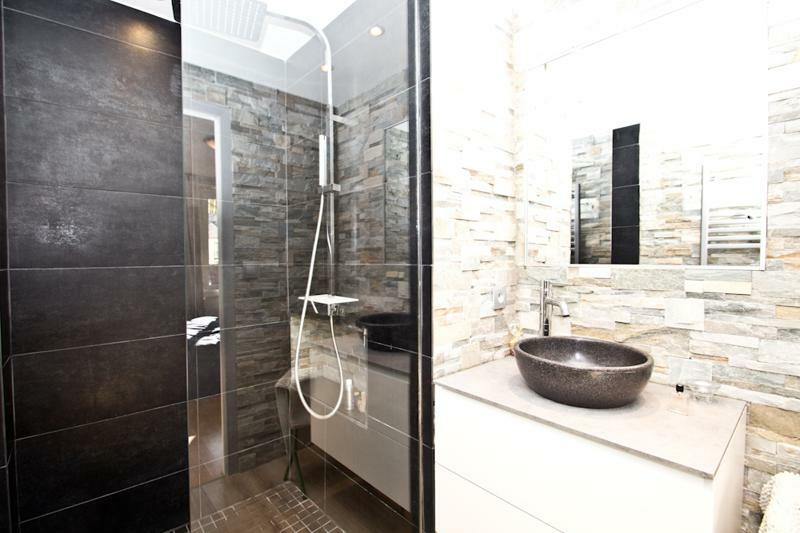 The modern bathroom is neatly tiled and contains a glass-enclosed standing shower. 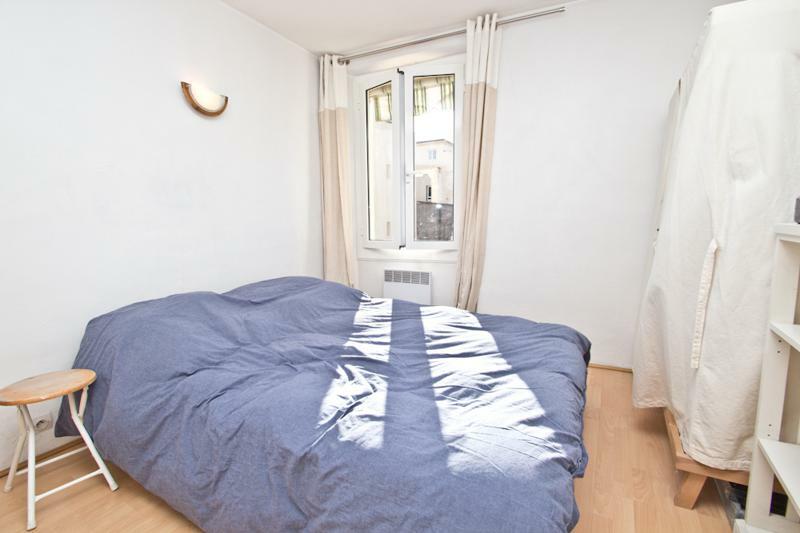 The bedroom comes with 2 single beds that can be pushed together to form a double bed and a window that provides ample natural light to the room.